Ortovox's revamped Merino Hardshell Light continues to impress thanks to the combination of extreme lightness (68g/m²) and its High-Performance Dermizax® DT Membrane from Toray. The 2.5 layer construction features the water column (min. 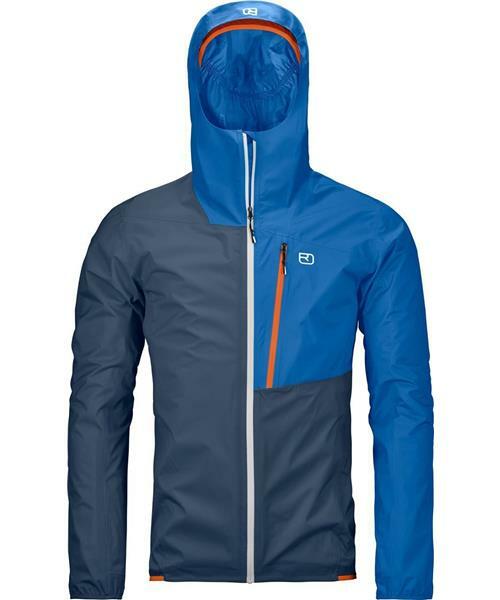 20,000mm) of a hardshell and the lightness and breathability (min. 20,000g/m2/24h) of a windbreaker. The patented Micro Bead Structure on the interior provides long-term scuff resistance for the membrane underneath and feels comfortable on your skin thanks to the quick moisture wicking. Tiny, integrated beads (micro beads) in the structure mean that moisture can be more quickly absorbed and released to the membrane. This makes it feel dry against the skin. The material does not feel sticky or wet.